This personalised engraved bamboo serving platter makes a lovely gift for anyone keen on entertaining. 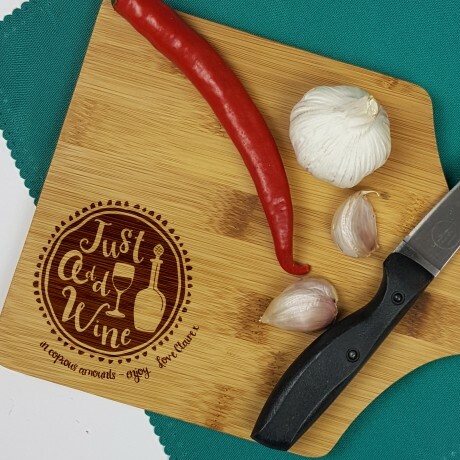 What better a mantra can there be for a party than "Just Add Wine"? 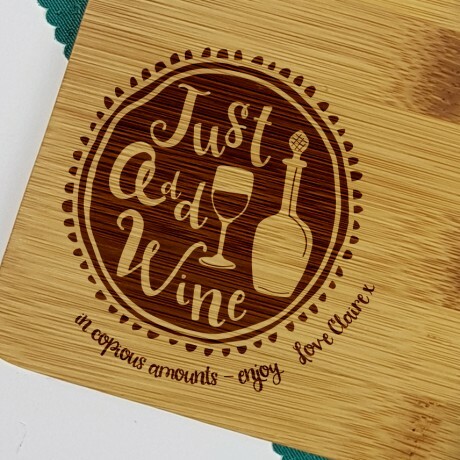 The engraving reads Just Add Wine and can be personalised by the addition of a message running around the central design.